Centroid-based partitioning cluster analysis is a popular method for segmenting data into more homogeneous subgroups. Visualization can help tremendously to understand the positions of these subgroups relative to each other in higher dimensional spaces and to assess the quality of partitions. In this paper we present several improvements on existing cluster displays using neighborhood graphs with edge weights based on cluster separation and convex hulls of inner and outer cluster regions. A new display called shadow-stars can be used to diagnose pairwise cluster separation with respect to the distribution of the original data. 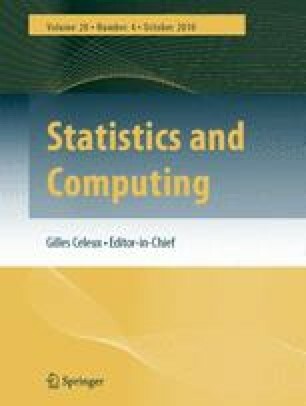 Artificial data and two case studies with real data are used to demonstrate the techniques.